Today is the historic day that the Anna Westin Act of 2015 was officially placed in the hopper on the floor of the House of Representatives...and #AnnasLaw was thus officially introduced as HR2515!! 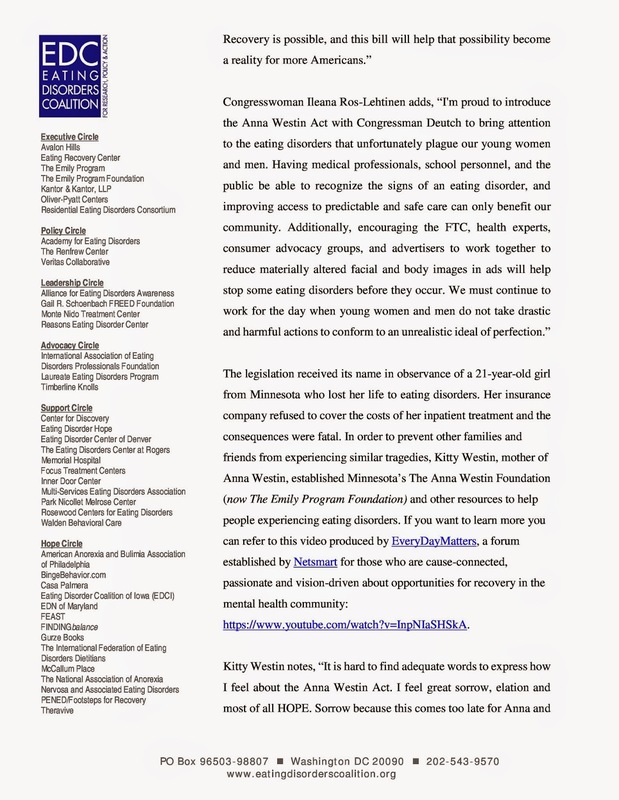 We cannot find words enough to say how grateful we are to our champions on the Hill, Congressman Ted Deutch and Congresswoman Ileana Ros-Lehtinen, and their staff, for their commitment to helping us craft, draft, re-work, re-write and push #AnnasLaw through legislative counsel. And although we will continue to try, at present, we simply cannot find words fitting enough to convey our thanks to EACH OF YOU. 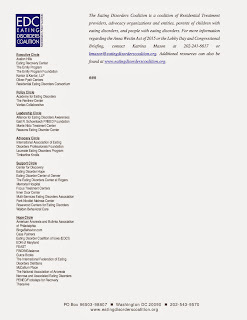 For each of you helped in countless ways throughout the existence of the +EDCoalition1 --whether you are a Member Organization or an individual advocate-- YOUR support, ideas and feedback were the inspiration for us conceiving that we should name a bill in memory of Anna Selina Westin. Anna's Law, like so many other pieces of legislation, is not a bill that will solve all the problems faced by all those impacted by eating disorders. 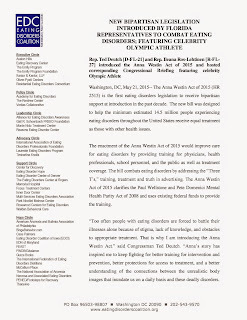 But Anna's Law IS a bill that WILL solve SO MANY problems...and that will lead to greater awareness, greater understanding, less stigma and less lives lost to eating disorders!! 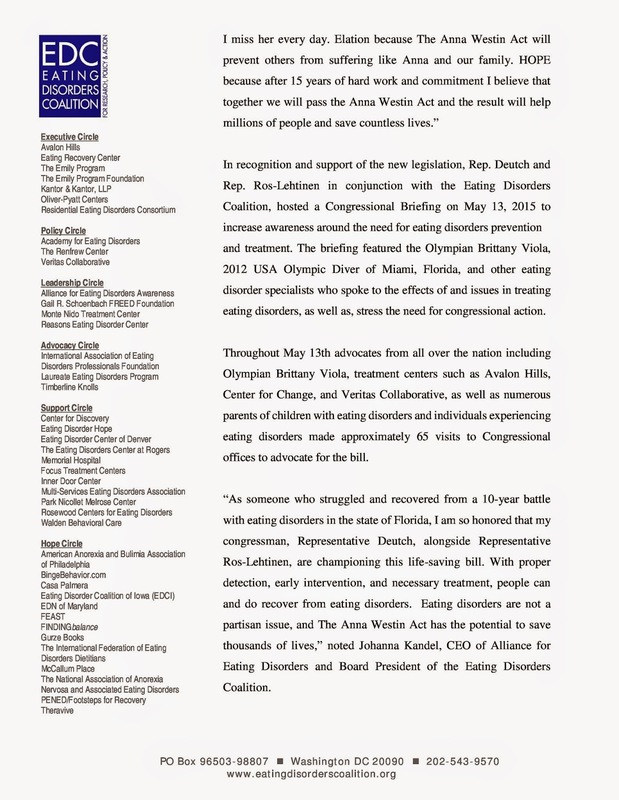 #AnnasLaw is a necessary step in the right direction, with bi-partisan support, for all those impacted by #eatingdisorders and we truly believe that #TheTimeIsNow to pass #AnnasLaw. 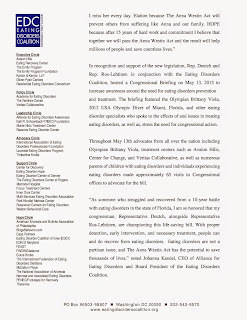 Since the time #AnnasLaw was placed in the hopper this morning, we have already lost another 5 lives (at minimum) to #eatingdisorders...a treatable disease. Who were the five people? Who did they leave behind? What would their lives have become had they had access to adequate treatment, had their doctors been trained to identify and intervene...? We will never know. But what we DO know is that their deaths, just like Anna's, Leslie's, Reanna's, Nicole's, TJ's, and the countless others who have died from "ED", were unnecessary. ^^^THEY ARE WHY: #TheTimeIsNow. Because every 62 minutes we let go by without passing #AnnasLaw, at least one more precious life is lost. 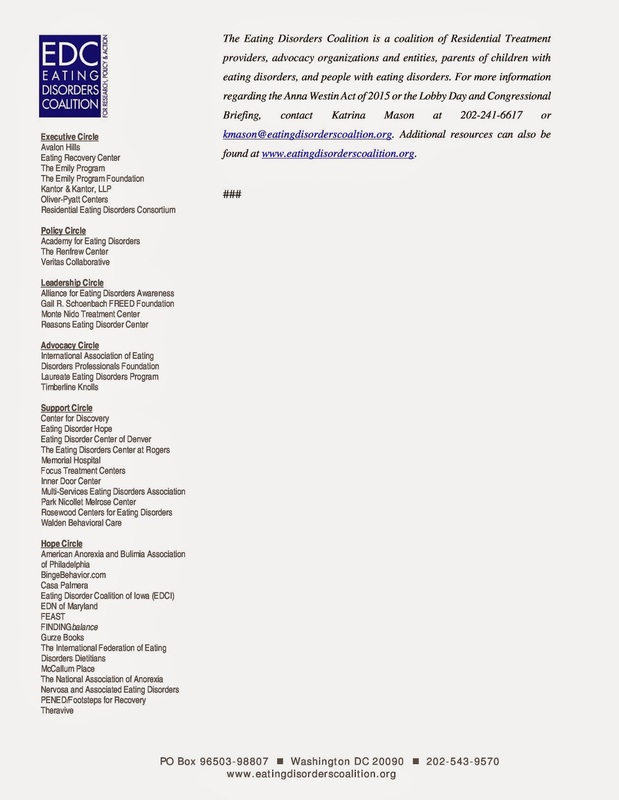 #MembersofCongress, we call on you to be the change. Please, lend your name to the Anna Westin Act of 2015. May all those who are counting on #AnnasLaw be filled with a renewed hope today. 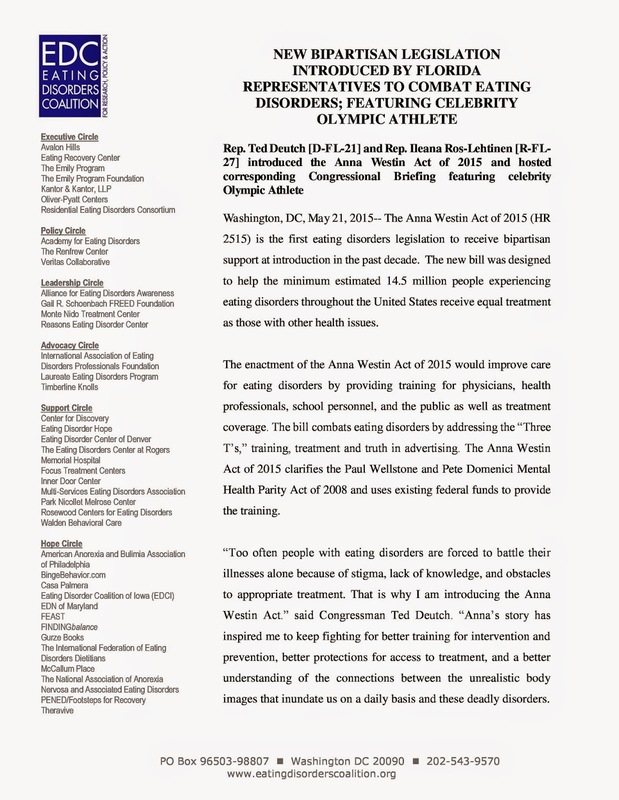 May all those who feel they don't have a voice against #eatingdisorders know that YOU DO have a voice and YOUR voice CAN make a difference...YOU CAN help pass #AnnasLaw.